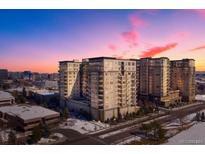 Below you can view all the condos for sale in the Landmark subdivision located in Greenwood Village Colorado. Listings in Landmark are updated daily from data we receive from the Denver multiple listing service. To learn more about any of these condos or to receive custom notifications when a new property is listed for sale in Landmark, give us a call at 720-580-6828. Move here for your active and worry-free lifestyle! MLS#2682747. Keller Williams DTC. Walking distance to light rail and all the retail and entertainment Landmark has to offer. MLS#5429533. MB DELUX TEAM REALTY INC. In the heart of DTC, the Landmark is the place to be and the orchard light rail station is within walking distance at .4 miles. Experience vacation living at home! ! MLS#5965119. RE/MAX Professionals. Convenient 5 minute walk to the Orchard light rail station. MLS#8063168. HomeSmart Realty Group. A rare gem. Denver’s Premier Luxury Living Experience! MLS#1991670. RE/MAX ALLIANCE. Minutes to DTC, DIA and downtown Denver. Cherry Creek schools, handicap accessible. MLS#4703634. Corken + Company Real Estate Group. Looking for Investors or a buyer not wanting to move in right away. Property is currently leased MLS#2301130. KENNA REAL ESTATE.